Overtime, your headlights may become cloudy or discolored and this is due to the UV rays from the sun. If the damage is only to the outside of the lens, you will be able to use a headlight restoration kit to remove the defects caused from the UV light. The best headlight restoration kit is the 3M 39084, which comes with rubbing compound, sanding and polishing pads to restore cloudy and dull lenses. There are many different methods to restoring your headlights from using a machine polisher to wiping toothpaste or WD40 on the lens. However, with kits that are dedicated to headlight restoration, its far easier to use the kit instead. The majority of headlight restoration kits include a rubbing compound, sanding and polishing pads. However, some kits will require a power tool to make use of the headlight restoration rubbing compound and work it into the lens. Cleaning up your headlight lens is far easier than you think and a worthwhile task. Leaving the headlight to become even worse may effect the light that gets output from the bulbs and even result in a failure when the cars inspected. There are many DIY solutions but using a dedicated kit to do the job is the best method. Below is a list of the best headlight restoration kits that will clean your lens of any cloudiness and ensure maximum output. The 3M Headlight Restoration Kit is one of the most popular on the market and comes with everything that you require to get your headlights looking good as new. The rubbing compound and sanding and polishing pads work together to remove the haze that builds up on your headlights and ensures that your headlights can output the best light possible. Overall, the 3M 39084 is the best headlight restoration kit available that uses no complex tools. Simply use the tape to mark the edges of your lights, use the three-dimensional abrasive discs to buff away buildup, and then use the scratch remover to get rid of light damage. Complete with a layer of the synthetic wax protectant to ensure the results stay in place. The Meguiars Headlight Restoration Kit contains everything you need to get your headlights back to the factory finish no matter the condition. It is a heavy duty formula that require a power tool to complete the job. Not only does this kit remove damage and discoloration, but it also keeps your headlights looking good for up to a year. Here’s everything included in the Meguiars Headlight Restoration Kit and the notable specs of this kit. The tools in this heavy duty headlight restoration kit are designed to be used with a drill for maximum power. The Meguiars Headlight Restoration Kit is a good choice if you have severe buildup on your headlights and need to buff through thick layers of dirt, grim and damage. The Turtle Wax Headlight Lens Restorer is a three step setup that removes discoloration and debris from your headlights. It’s easy to use and works in just a few minutes, so the whole process is quick and simple. The rubbing compound improves the quality of the headlights while the lubricant helps protect the headlight and makes it easier to clean. This kit also comes with the items you need to apply these products. Here are the notable specs of the Turtle Wax Headlight Lens Restorer. The Turtle Wax Headlight Lens Restorer is very easy to use, even if you aren’t used to working on cars. The products are also safe enough to be used on paint and any light surfaces, so they are very versatile for car maintenance. Philips is a reputable brand when it comes to headlight bulbs for your car and they have produced there very own headlight restoration kit. This kit really stands out from other options because it offers UV protection along with its rubbing compound. Here are the notable specs of the Philips Headlight Restoration Kit. The Philips Headlight Restoration Kit is a high quality, reliable option that works in virtually any situation. The only drawback is that its the most expensive kit but you do have the added bonus of the UV protection. The TriNova Headlight Restoration Kit provides high quality products that remove oxidization and protect against future damage to your car’s headlights. TriNova provide a large quantity of the product and it can be used on multiple occasions. The products are also very efficient as the rubbing compound contains a sealant as well, which makes ensures that you are protected against dangerous UV rays. Here are some of the notable features of the TriNova Headlight Restoration Kit. Overall, the TriNova Headlight Restoration Kit is a very affordable and reliable option. It’s simple to use and works effectively to remove damage and discoloration from your headlight lenses. The large product quantities also mean you get really good value for money and can reuse the product multiple times. It’s natural for your headlights to slowly become foggy and discolored over time. Exposure to UV rays can lead to oxidization, which results in a slight yellowish color. It’s also normal for dirt and debris to get stuck to the headlights, and for the headlights to take a few scratches here and there. 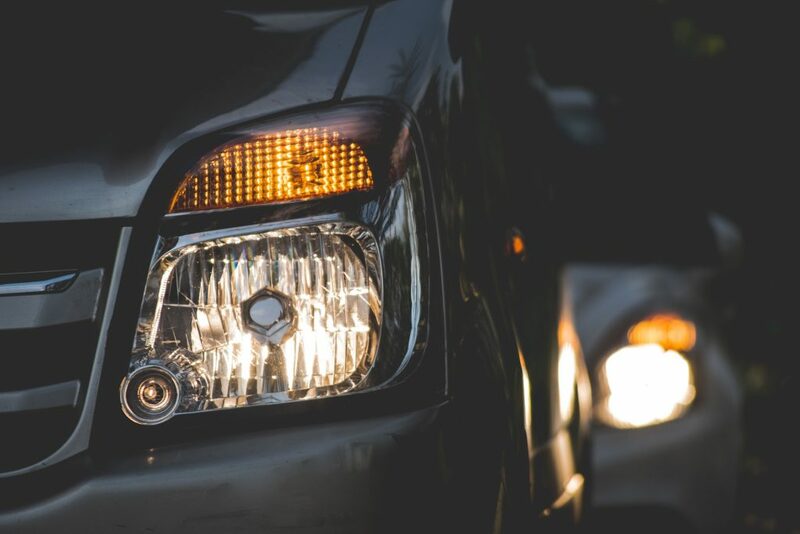 Not only are all of these things unpleasant to look at, but they can actually make your headlights less effective, which is very dangerous when you are driving at night. Having a headlight restoration kit on hand can help you get your headlights looking back to normal very quickly. Here’s what you should look for when shopping for a headlight restoration kit. The first essential that should be in every headlight restoration kit is a cleaner. These normally come in a spray bottle and are the first step in the cleaning process. Cleaners remove the first layer of dirt and oxidation and create a good base for later deep cleaning. The headlight restoration kit should contain a cleaner that is potent enough to clean the headlights quickly and effectively, but is still gentle and safe enough to use on your car. Of course, if the headlight is covered in dirt, you should use a car wash soap to remove this first. This will ensure that the rubbing compound you use will be more effective and not tackling the dirt to begin with. Buffing pads are used to scrub away layers of oxidation that have hardened onto the light. They are made from sandpaper or a similar material to gently sand away problem areas. Many restoration kits come with a few different grit levels, so you have more control over exactly how you buff your headlights. The higher the grit count, the finer the sandpaper. Higher grit counts are best for very detailed work. Finally, the kit should come with a sealant to protect against future damage and discoloration. The sealant will lengthen the life span of your headlights and prevent you from needing to do future maintenance on the headlights. The sealant should also contain UV protection. UV rays are very damaging to the headlights, so a good sealant will ensure that they stay clear and that they don’t weaken in the sun. The sealant is usually the last step in the headlight restoration process. 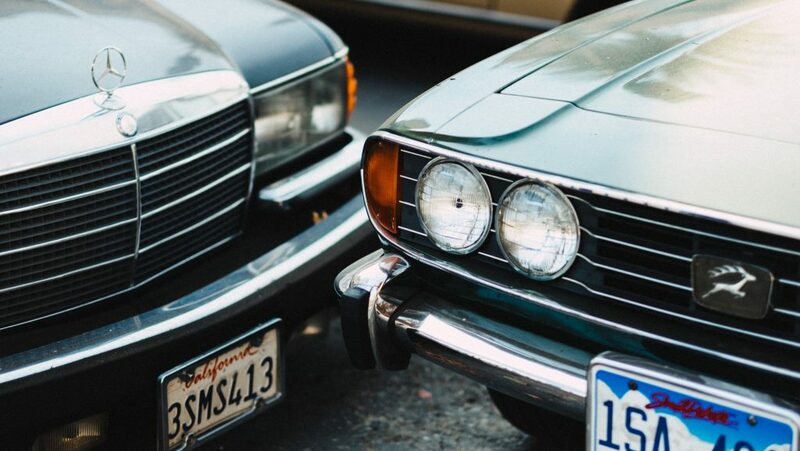 To use these products, you will need a few accessories, so it’s important that the headlight restoration kit comes with the extra pieces that you need to get your headlights looking shiny. The most common accessory included in these kits is a cloth or a sponge to apply and then wipe away the cleaning products. Using the cloth provided will be much more effective than using paper towels or another thin, disposable applicator. Another accessory that is often included in headlight restoration kits is masking tape. It can be very helpful to put masking tape around your headlights while you are cleaning them. This ensures that the product only gets on the headlights and doesn’t get on the paint of your car. Some headlight restoration kits require you to have a drill or other power tools to use them. This is usually to give the buffing pads more power. Having this extra power can make the restoration process go much faster than it does manually. However, it can also be very inconvenient to have to use power tools. Many consumers prefer a restoration kit that does not require power tools and contains absolutely everything necessary to get your headlights looking great. Another consideration is the amount of product that comes in the restoration kit. The quantity of the cleaner and sealant is typically measured in ounces. You will also want to look at the number of buffing pads included. The more product that’s included in the kit, the more times you will be able to reuse it, providing more value for money. Your headlight restoration kit will come with instructions for how to apply the products. These are usually set up as a list of steps for you to follow. If you’ve never had to maintain your headlights before, you may want to look for a kit that has a very simple process with only a few steps to follow. The instructions for how to use the headlight restoration kit are usually located on the back of the box or in the online description, so you can check before you buy. No matter how hard your try to not park your car in direct sunlight, the UV rays will always be able to damage the headlights overtime. This will have the result of obscuring the light output from your bulbs and even effect the much stronger HID kit bulbs. Therefore, it makes logical sense to sort the problem with the best headlight restoration kit that can be seen above with multiple options to choose from. The end result is clean light with clear output to provide extra vision whilst traveling on dark roads.